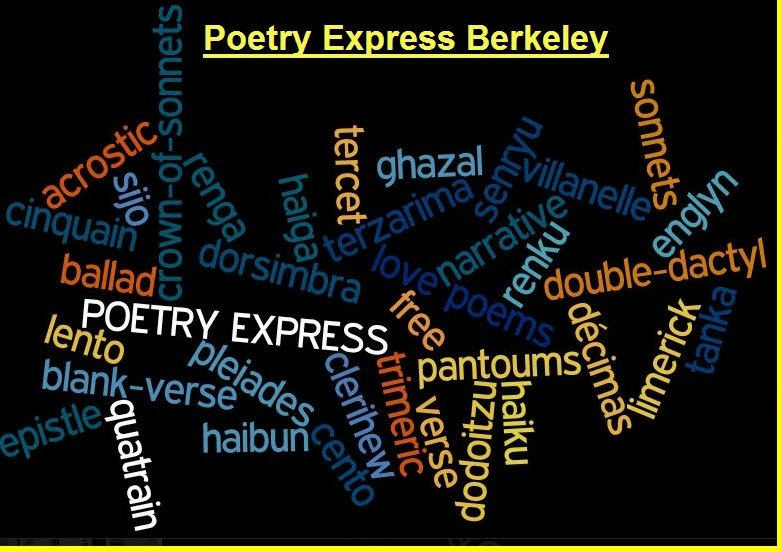 Ivan Arguelles and Neeli Cherkovski will read at 7 pm on Monday, February 4th, at Himalayan Flavors, 1585 UniversityAvenue, cross street California, in Berkeley, as part of the Last Word Reading Series, with thanks to Poetry Express and Himalayan Flavors for their hospitality. Cafe phone is 510-704-0174. There is also an open reading. This reading is the result of a rescheduling of the reading that was originally planned for January 11th at the late and lamented Nefeli Caffe. Innovative and prolific Mexican-American poet, Ivan Argüelles, is the author of many books and chapbooks of poetry. Long associated with the "West Coast surrealists", he has also extended his vision into epic, book length poems. Included among his many books are: "That" Goddess; Madonna Septet; Comedy , Divine , The; FIAT LUX; Orphic Cantos; and Fragments from a Gone World. His most recent publication comprises poems all in Spanish, Lagarto de mi Corazón. His collection, Looking for Mary Lou, won the 1989 William Carlos Wiliams Award from the Poetry Society of America. In 2013 he received a lifetime Achievement Award from the Before Columbus Foundation. A retired librarian he has resided in Berkeley since 1978. He is the identical twin of New Age Prophet José Argüelles (d. 2011). Neeli Cherkovski was born in Los Angeles and attended Los Angeles State College (now Cal State Los Angeles).He is the author of many books of poetry, including Animal (1996), Leaning Against Time (2005), From the Canyon Outward (2009), and The Crow and I (2015). He is the coeditor of Anthology of L.A. Poets (with Charles Bukowski) and Cross-Strokes: Poetry between Los Angeles and San Francisco (with Bill Mohr). He has also published bilingual editions in Austria, Mexico, and Italy. A facsimile edition of one of his notebooks was published by Viviani Edizione in Verona, Italy. Cherkovski also wrote biographies of Lawrence Ferlinghetti and Charles Bukowski, as well as the critical memoir Whitman’s Wild Children (1988). His papers are held at the Bancroft Library, University of California, Berkeley. Cherkovski received the 2017 Jack Mueller Poetry Prize awarded at the Jack Mueller Festival in Fruita, Colorado. He has lived in San Francisco since 1974. The Last Word Reading Series presented, for now, by Himalayan Flavors, a restaurant that serves Indian, Tibetan, and Nepalese cuisine in a beautiful and colorful atmosphere. Dinner here is wonderful and should not be missed. Admission is free, but a one-drink or one-plate minimum is suggested.